Turbo vehicles utilize an intercooler to keep the charge air temps down. This translates to better performace. If you are trying to get the most out of your vehicle, an upgraded intercooler is what you need. This intercooler is developed to give the best performanace with minimal modification. The endtanks on this intercooler are designed with CAD software with the aim to create the best possible endtank that distributes the the airblow over the entire core to maximize cooling while minimizing pressure drop. 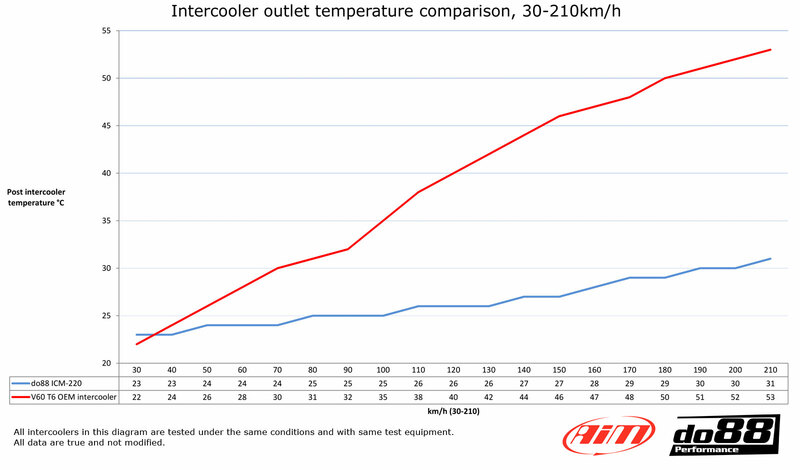 This Peformance Intercooler provides 22 degrees Celsius average temperature drop versus the OEM unit. 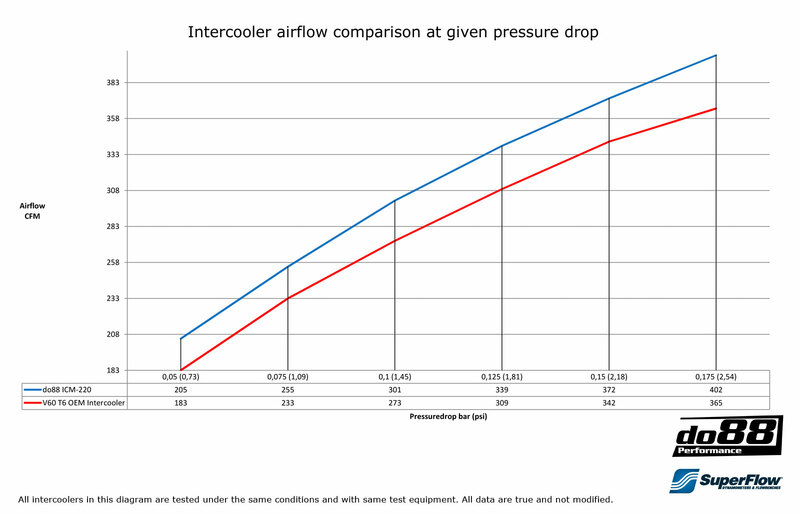 Not only does this intercooler provide superior cooling, but it flows 8% more over the OEM intercooler at the same pressure drop. All brackets and mounting hardware needed for an effortless install. 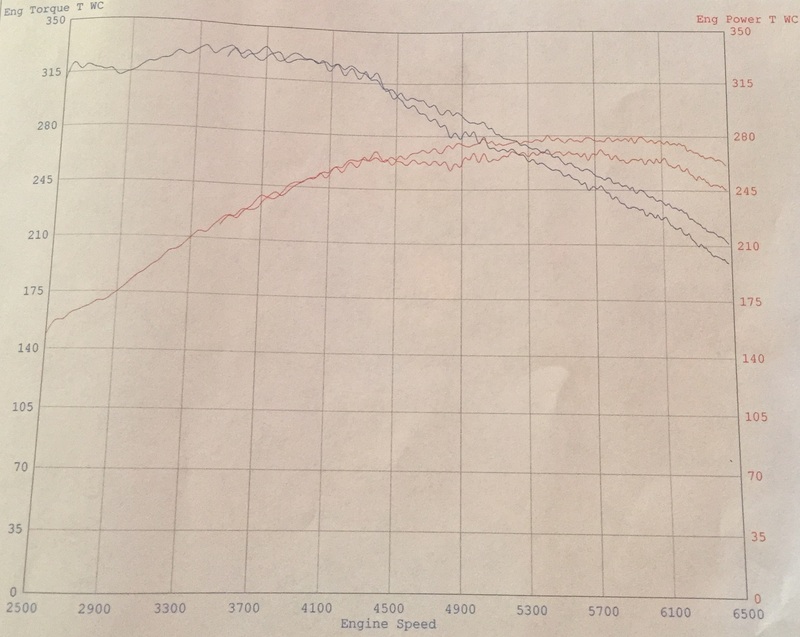 Experience gains up to 13AWHP at the wheels (+20HP at the engine ) and 13AWTQ at the wheels (+20lb/ft at the engine) from 4500 RPM's to Redline with just installing our performance intercooler upgrade! **Note: 1. Will not work with Volvo XC60 vehicles equipped with Factory Collision System behind the front grille. 2. Please note that when installing this intercooler into a 2010+ XC60, the power steering lines may need to be moved/bent ever so slightly to fit this intercooler. 3. If you are installing this on a S60 or V60 equipped with radar unit in the front grille, one mounting bolt will need to be shaved by 5mm. This unit will work with factory radar unit on the S60 and V60 vehicles.